When Jim Pauley was working as an electrician and electrical contractor prior to enrolling at the University of Kentucky, he often installed hardware produced by electrical component manufacturer Square D. Little did Mr. Pauley know that almost 30 years later, he would be a senior vice president within the company. Mr. Pauley began working at Square D while he was studying electrical engineering at UK. Upon graduating in 1986, Square D offered him a full time job as an application engineer. For his first nine years with the company – which became Schneider Electric in 1991 – Mr. Pauley also worked as a product planner and product marketing manager. 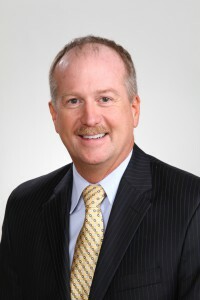 In 1994, Mr. Pauley became an industry standards manager for Schneider Electric, and in 1998, he was promoted to director of codes and standards. It began a new chapter in his career: an intense focus on codes and standards. As an electrician, Mr. Pauley had been exposed to the necessity of codes and standards for safety, interoperability and compatibility. In addition to his responsibilities at Schneider Electric, Mr. Pauley regularly joined external committees devoted to the topic. Today, he is chairman of the board of directors for the American National Standards Institute, which has over 1,000 governmental company and organizational members and annual revenues of over $30 million. He believes his contribution as chairman has been to champion a stronger focus on electric vehicles, energy efficiency and smart grid. In 2000, while serving as director of codes and standards, Mr. Pauley asked to broaden his role and take charge of product safety and conformity assessment. As a result, he became vice president of industry and government relations, a position he held until 2011. During this time, the company achieved sales of over $26 billion. In 2011, Mr. Pauley expanded his role even further, maintaining his current responsibilities and simultaneously launching two new initiatives. The first involved developing a government affairs organization within Schneider Electric. The organization is responsible for shaping legislative and regulatory policy and supports both state and federal level activity. The second led to commencing the Schneider Electric University Partnerships Program – a focused approach to Schneider Electric’s work with universities across the U.S. The program creates key relationships with targeted universities with a focus on making energy safe, reliable, efficient, productive and sustainable. This increased presence on campuses has allowed Schneider Electric to discover students who embody the company’s values, which has raised the workforce talent level. In addition to his many industry-related committees, Mr. Pauley serves on UK’s Power and Energy Institute of Kentucky (PEIK) external advisory board. His business perspective is invaluable for guiding PEIK as it seeks to meet the needs of the power and energy industry in the best way possible. When on campus, Mr. Pauley regularly speaks to students, encouraging them to think of their engineering degree as a gateway to success. “An engineering degree can prepare you for any career,” he says. Mr. Pauley lives in Lexington, Ky., with his wife, Lisa. They have two daughters, Taylor and Kira.